Fore! Par! Hole-in-one! OK, I obviously don't know much about golf, but what I do know is that when there is a charity golf tournament, the stars come out to play. The Red Cross held their 5th Annual Celebrity Golf Classic at the exclusive Lakeside Golf Club in Burbank. Favorite athletes and actors came out to support the cause and raise money and awareness for the Red Cross Disaster Cycle Services program for the Los Angeles area. 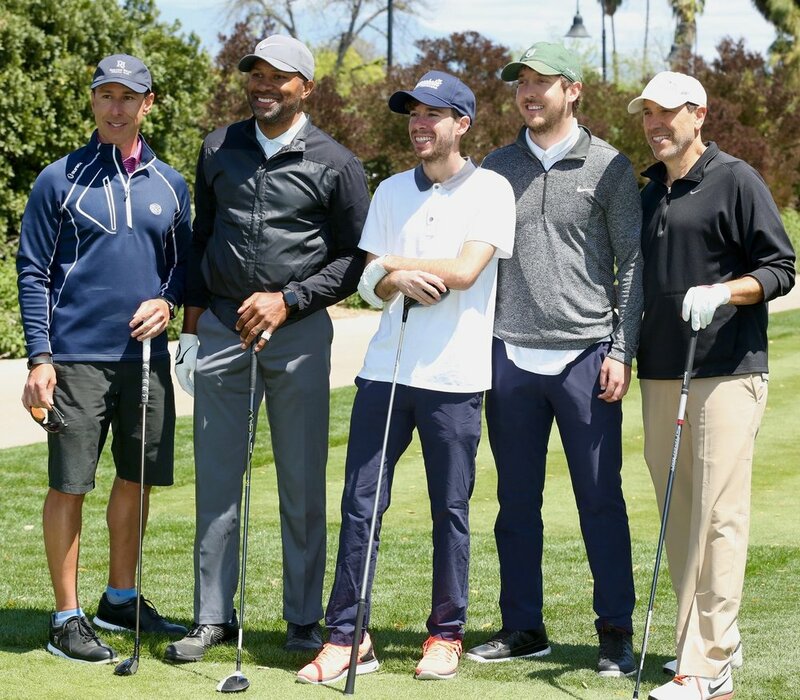 Lakers' favorite Derek Fisher and former coach Byron Scott were among the athletes. HBO's Big Little Lies and CMT's Nashville star Jeffrey Nordling. Ninety's heartthrobs weren't too far behind. Mark-Paul Gosselaar told me if he'd ever try another Saved by the Bell reunion after the first attempt with The Tonight Show host Jimmy Fallon. Home Improvement's favorite level-headed Tool Time host Richard Karn mentioned a possible spin-off. Everyone was in good spirits and people have a real connection with the Red Cross. The celebrities usually support other causes as well, but the Red Cross is at the top of their list. Former Yankees' player Nick Swisher even told us his aunt works with the Red Cross. Check out the video to see what they all had to say. Visit www.RedCross.org to learn how you can donate or volunteer.